I love noodles. Give me pasta in any iteration from any cuisine and you have a happy camper. Vegetable lo mein? Yup. Spaghetti carbonara? Absolutely. Pho? Sure. Macaroni and cheese? I love you. 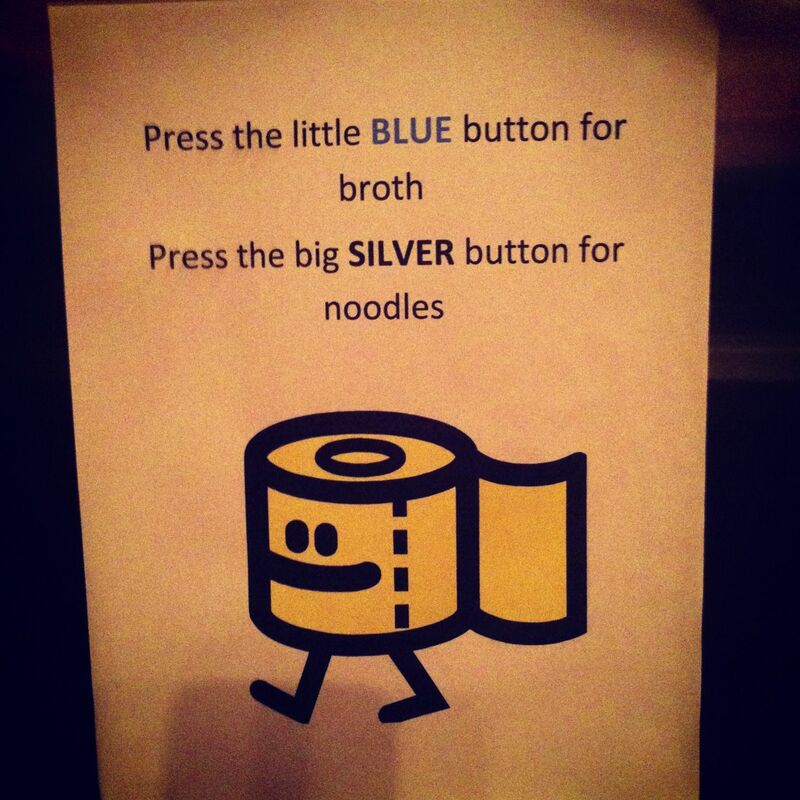 Philadelphia is a great noodle town. From my favorite red gravy restaurants in deep South Philly to the pho spots on Washington Avenue–and hand drawn noodles in Chinatown, of course–it’s easy to get a big bowl of carbs. 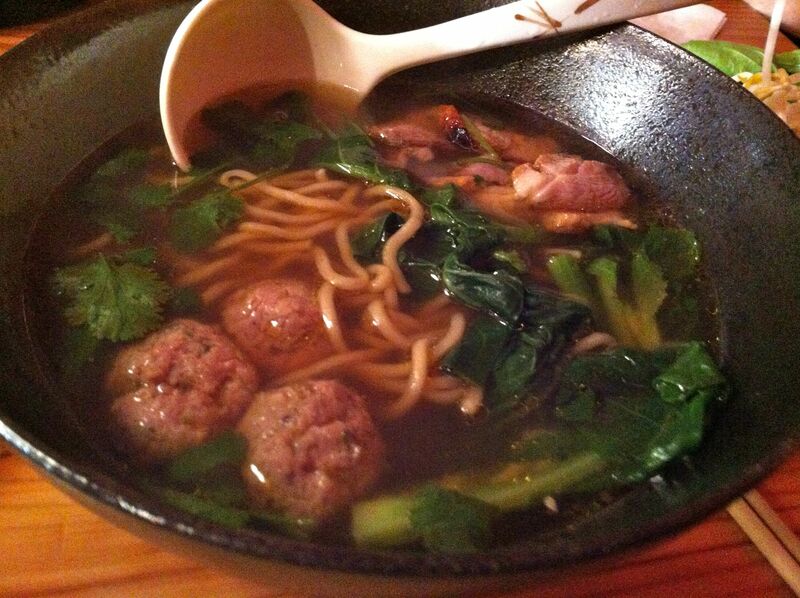 Until a year or so ago, however, one noodle niche that we were sorely lacking was ramen. 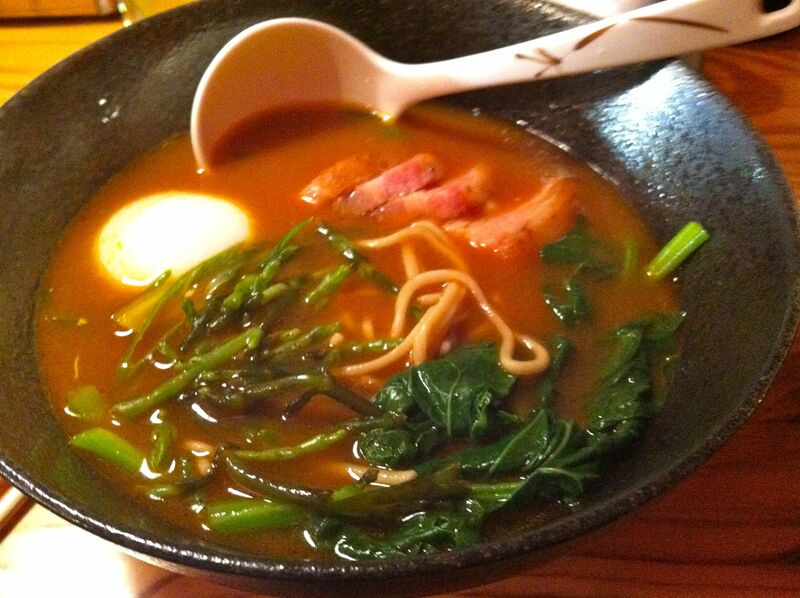 Much to the delight of many, ramen has recently become the next big thing. From Terakawa Ramen to Nom Nom Ramen to Hiro Ramen, there are growing opportunities to get a large bowl of chewy noodles with pork belly, soft-boiled egg and other accoutrements in a rich and steamy broth. When Cheu Noodle Bar first opened, as a series of pop-up dinners at Matyson Restaurant where Chef Ben Puchowitz works, they wowed diners with a ramen-centric Asian menu with a modern flair. Their pop-ups were all the rage, people (myself included) dialing endlessly to snag a seat at one of their popular events. 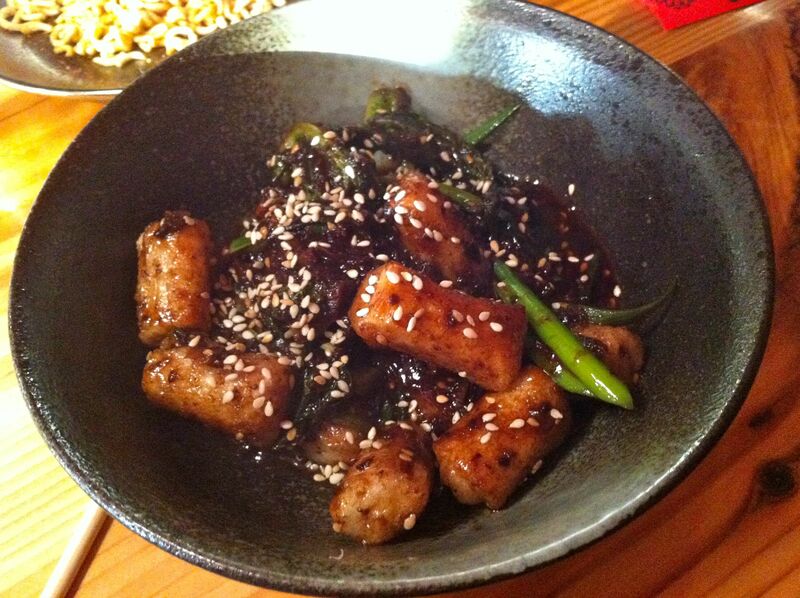 I still remember the sweet Vietnamese sausage and broccoli that is now on the menu at Cheu. Almost as notable as the food was the neat and diverse play list which was much appreciated by our DJ dining companions. Fast forward to Spring 2013 when Puchowitz and friend, Shawn Darragh (who has experience on the retail side of things) finally opened their store front. The space is small, with just a few tables and a long bar where you can watch the food being prepared. In my opinion, the bar is a prime spot as it affords you the opportunity to take in the show. Because they do not take reservations, my husband and I stopped by for an early dinner one Sunday. The place was packed and we were lucky enough to snag two seats at the end of the bar. Note: they will take down your name and number and call you when your table is ready if you so desire. 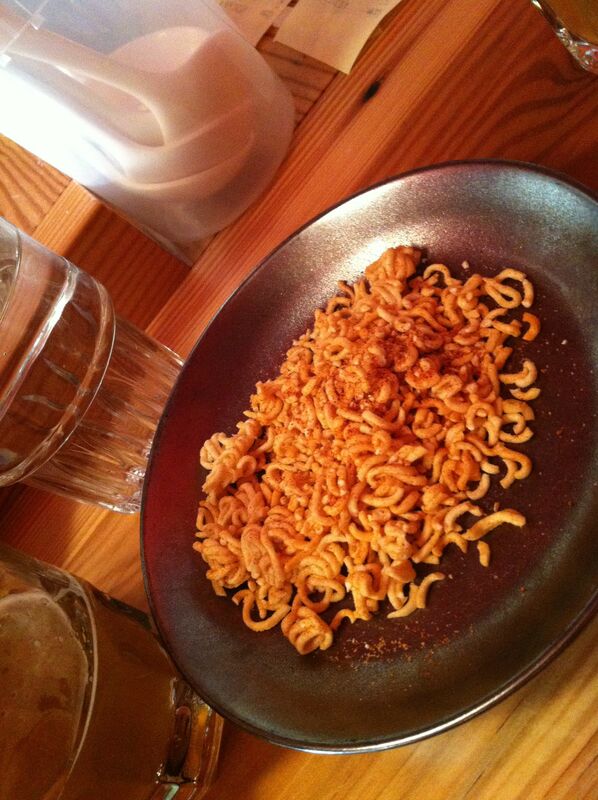 Rather than bread, we were greeted with a snack of the dry ramen noodles that we are all familiar with. It was a kitschy yet cute move that would only work for these guys. We checked out the menu and had our usual conversations about what apps to split and what entrees we wanted to claim. You can’t order the same thing, of course. We could have ordered every appetizer but stopped at three. It would be great to go with a group so you can get a little taste of everything. 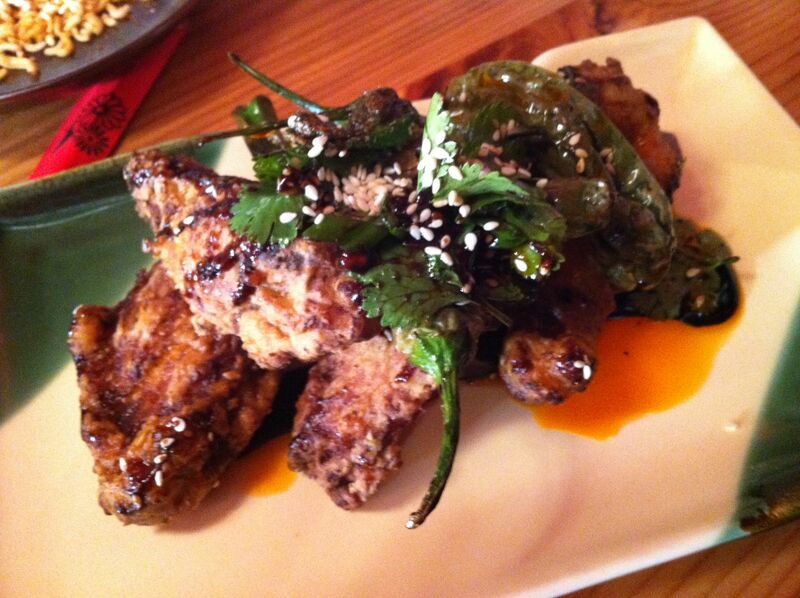 We started with the black garlic wings with shishito peppers and herbs. We got them literally right out of the fryer and they piping hot but not spicy and the definition of finger licking good. Following that, we tried the buns. This is the perfect example of their spin on traditional classics. Buns are a staple at ramen houses and Cheu does steer slightly towards the traditional with their pork belly, but the cheeseburger option (you can select two. 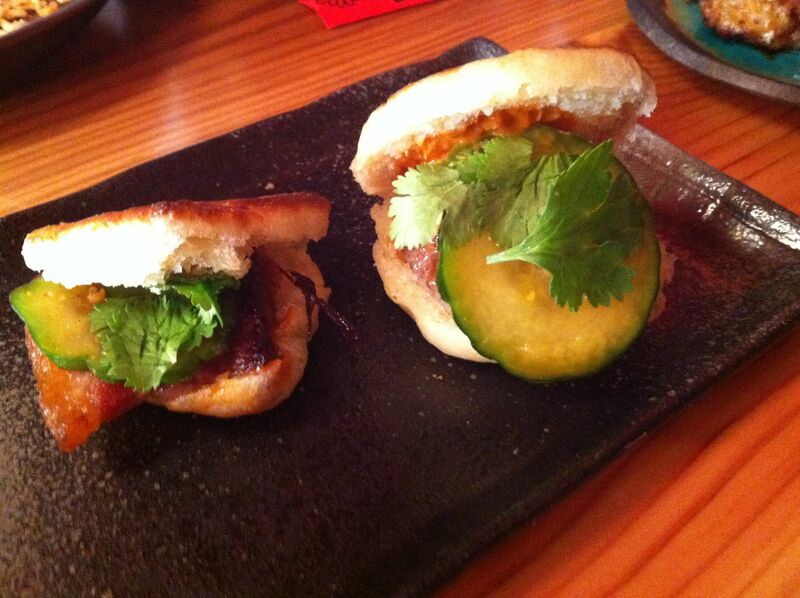 The other choice was mung bean) infuses the most traditional American food with this Asian standby. These are not the most “splittable” items on the app menu and I quickly found out why. As I carefully took my bite of half of the cheesesteak bun, I accidentally ate the entire pickle. Whoops! Even without the pickle, my husband confirmed that these were a tasty little snack to start the meal. Our final app were the BBQ rice cakes. I really had no idea what to expect but had read that they were a can’t miss so we obviously had to order them. While my husband and I didn’t agree on these, I was ok with that–more for me! I had expected the rice cakes to be crispy but they were chewy, glutinous delights. When we had them, they were dressed with a sweet tatsoi, black bean sauce and sesame combination, although they’ve changed it up a bit since. While the rice cakes themselves could be considered an acquired taste, we both agreed that the dressing was worthy of licking the bowl. Next up was the main attraction! While the cold sesame noodles are usually a weakness of mine, I was pretty set on getting one of the soups. I ended up going traditional (well, as traditional as you get get at Cheu) with the pork belly ramen and my husband got the duck pho. While I love ramen, I’ll be the first to admit that I’m certainly no aficionado. I’ll just say that this soup was pretty damn good. The broth was smooth with a little funk and the noodles had just the right amount of bite. Oh, and the pork belly was pretty freakin’ tender. I only had a bite or two of the duck pho but my husband declared the foie gras meatballs (foie gras meatballs?!) to be the best thing he ate all night. Delicate and fluffy, they melded perfectly with the slightly more refined pho broth than the ones that we are accustomed to. Meanwhile, the soundtrack to the dinner had me tapping my foot all night long. While I don’t usually take bathroom photos, I just couldn’t resist this adorable one. Glad to see they’re concerned with the environment. Overall, I was beyond pleased. After the pop up at Matyson, I knew I’d like it. Didn’t know just how much I’d love it from the vibe to the friendliness of our waitress to, obviously, the food itself. While I came for the noodles, everything on the menu was top-notch and eating there just made me feel good.